Visiting Charleston, South Carolina had been on the top of my list for years, and when I realized that Mandy and I were just a few hours away, we knew we had to make the road trip! Charlestom was the perfect city for a girls trip with Mandy, my best blogging buddy! It was so fun to be there with someone who equally appreciated each cute and colorful building, wanted to stop and take photos on every single corner, and who was also willing to pay for all of the trendy, overpriced coffee! 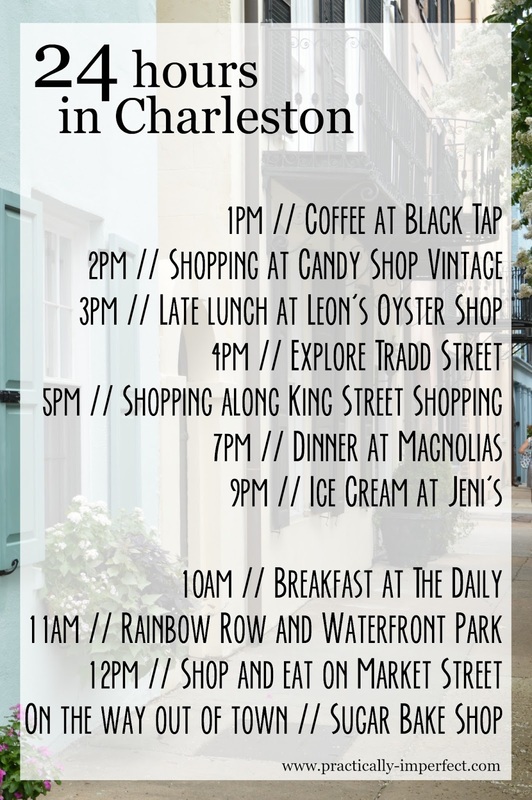 We had a pretty packed schedule during my week in the South (and later DC), so we only had time to go to Charleston for a quick overnight trip. 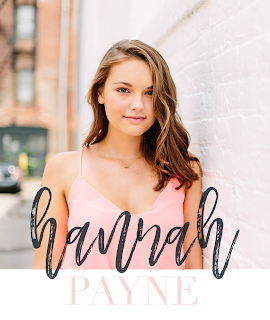 I could have easily spent a whole weekend (or really the rest of my life) in Charleston, but it was absolutely possible to knock it out in 24 hours! It never took more than 10 minutes to get from one side of town to the other, so we were able see and do every single thing on our list. 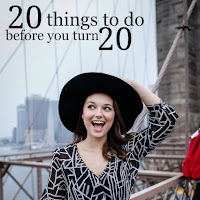 Here’s how we not only explored the city but how we did it in just about 24 hours! Black Tap Coffee for your pre-Charleston caffeine fix. Fuel up for the day with an iced lavender latte. It may be the best I've ever had! 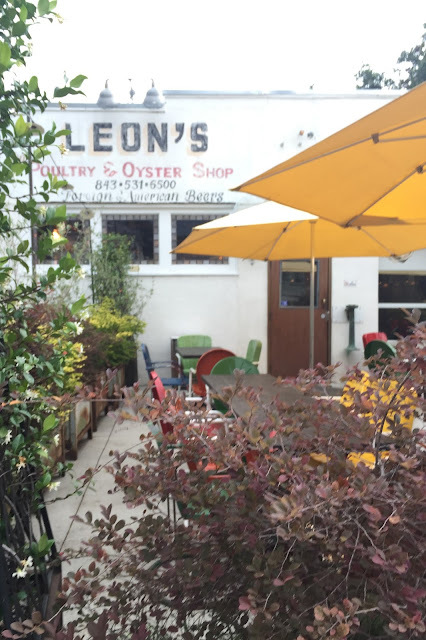 Leon’s Oyster Shop for a delicious, quirky, and quintessionally Southern lunch. Let me just say, I hadn’t lived until I tried hush puppies with honey butter from Leon’s. Magnolias for one of the best dinners of your life. We were lucky to get a reservation at this famous Charleston staple. The Daily for a casual breakfast and coffee. I felt like The Daily was filled with more locals and a more hip vibe. I loved the city's colorful, historical charm, but it was fun to see another side to Charleston. Sugar Bakeshop for the most life changing vanilla blueberry cupcake. Tradd Street for a spontaneous drive. This part of our trip was unplanned, but actually one of my favorite parts! It started storming, so we just hopped in the car and drove around. Tradd Street was my favorite neighborhood, and where I snapped this Instagram picture! Rainbow Row for a walk along the beautiful cobblestone streets. 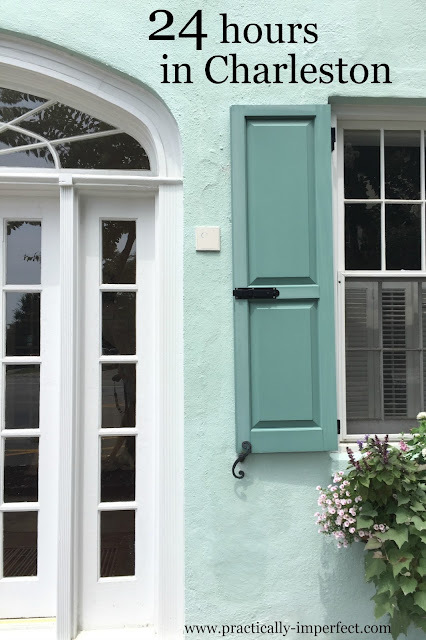 Charleston has more pink and pastel colored houses than any place I've ever visited, and they are perfectly showcased along this historic row of houses. Pineapple Fountain for the perfect end to a walk through Waterfront Park, which is absolutely beautiful in it's own right. 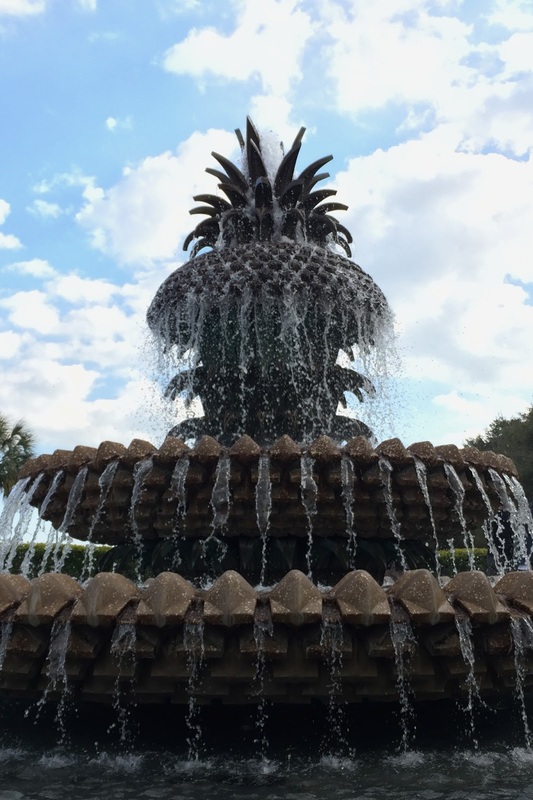 The ocean views and oak tree groves surrounding the fountain make for the most peaceful afternoon. Candy Shop Vintage for the most darling mix of new and vintage jelwery and accessories. Be the Change Boutique for pieces with purpose. Each item in the shop has a unique story and gives back to communities in need all around the globe. 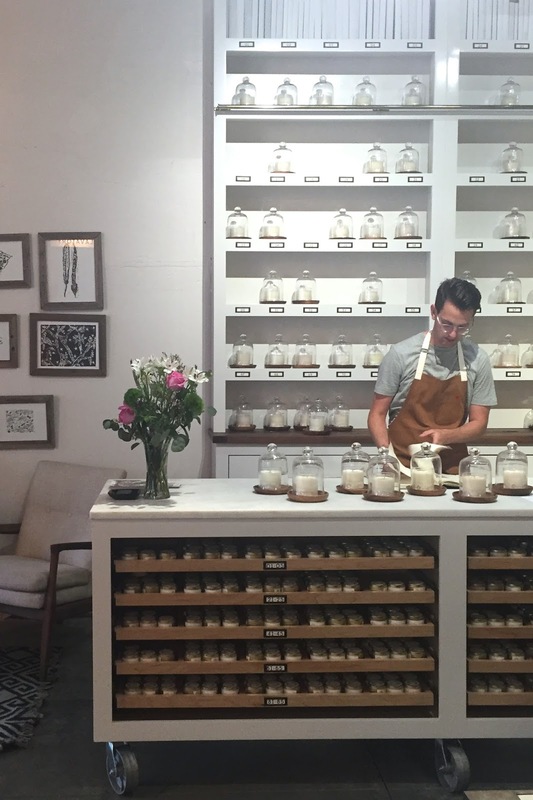 Candlefish for a mix of fragrant homemade candles, beautiful home goods, and (of course) ample Instagram opportunities. 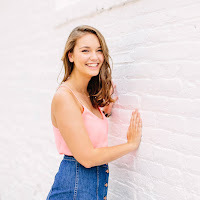 Lilly Pulizter for your fill or preppy prints and colors. 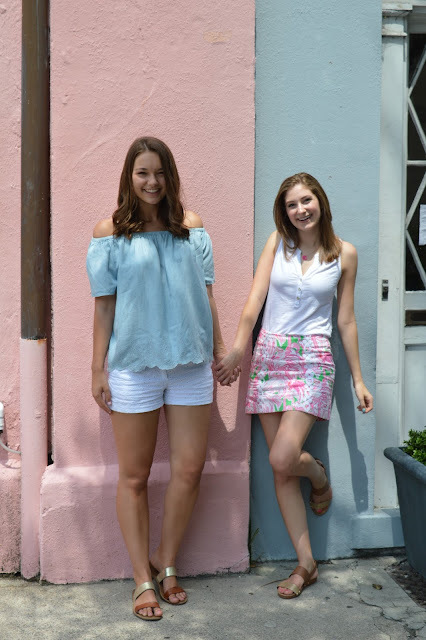 Lilly's King Street location was definitely more Mandy's favorite than mine, but had to be included in our Charleston guide nonetheless! Charleston is the most beautiful city with the kindest people. I left feeling like it was the best city on the planet, and what do you know, literally the next day it was voted Travel and Leisure's Best City in North America! 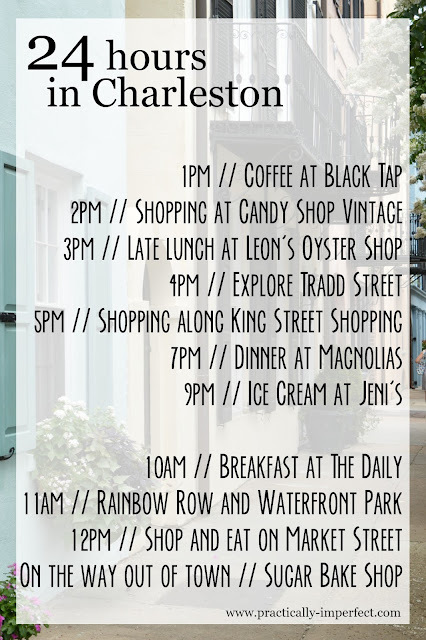 If you are headed to Charleston and are really ambitious, I've made an hour-by-hour itinerary of our exact trip. Like I said, I would have loved to spend an indefinite amount of time in Charleston, but I feel like our trip was perfect if you're on a tight timeline but still want to experience all the charm, beauty, and Southern hospitality that Charleston has to offer.